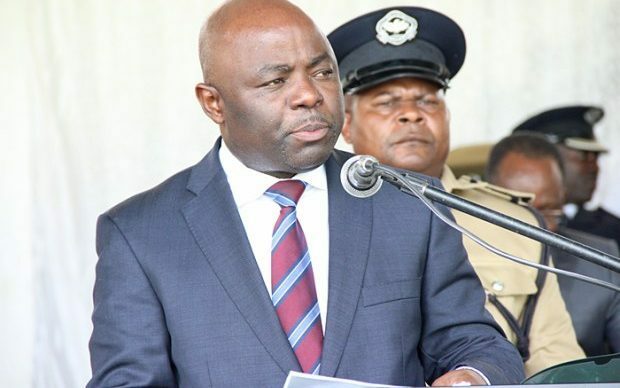 Home affairs minister Stephen Kampyongo has directed police on the Copperbelt to institute investigations into the alleged mishandling of ballot papers for Thursday’s Roan parliamentary by-election. This follows allegations by former Roan law maker Chishimba Kambwili that the patriotic front (PF) had moved ballot papers for the April 11, 2019 from the civic center where they were kept to a named lodge. Kambwili further alleged that Kaiser Zulu was the one keeping the ballot papers in his room at a named lodge. But Kampyongo said yesterday that, the NDC consultant caused commotion by harassing Zulu and damaged property and caused him injury. The Home affairs minister dismissed the allegations and said the Patriotic Front had no mandate to hold ballot papers. Kampyongo indicated that the ballot papers were kept under the custody of the Electoral Commission of Zambia ECZ, which was at the civic center. He added that police have since instituted investigations into the matter which he termed as being baseless. Kampyongo observed that police have worked tirelessly in maintaining peace throughout the campaign period in Luanshya constituency. He assured the people of Luanshya that police will uphold the peace to the end of the by-election and that police will bring to book all the culprits. And Copperbelt Police Commander Charity Katanga said police have since arrested Andrew Lupindula for alleged misconduct and alleged malicious damage to property.